This stool can be conveniently adjusted to fit those seated. Seat can be set at 1 inch increments from 18 and 28 inches. 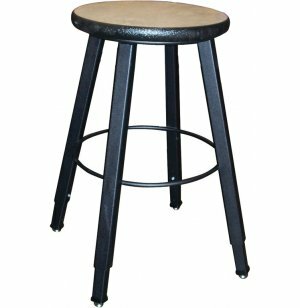 This adjustable height stool comes with a large, circular high-pressure laminate seat with Lotz® Armor Edge making it extremely durable and resistant to nicks and scratches. 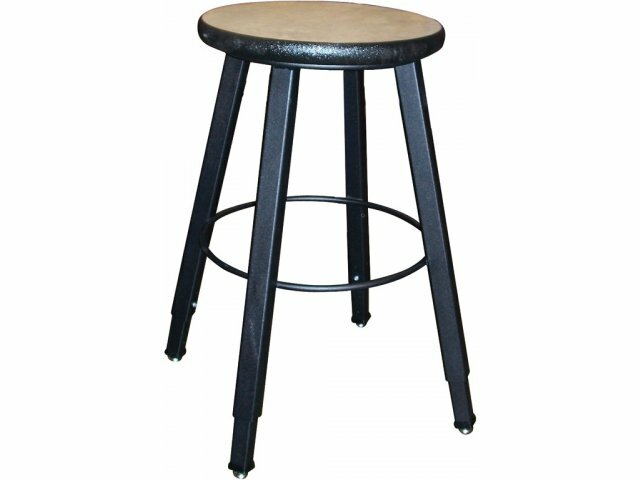 Stool legs are made of welded 16-gauge steel powder coated in black. Extra-large, 14-in. 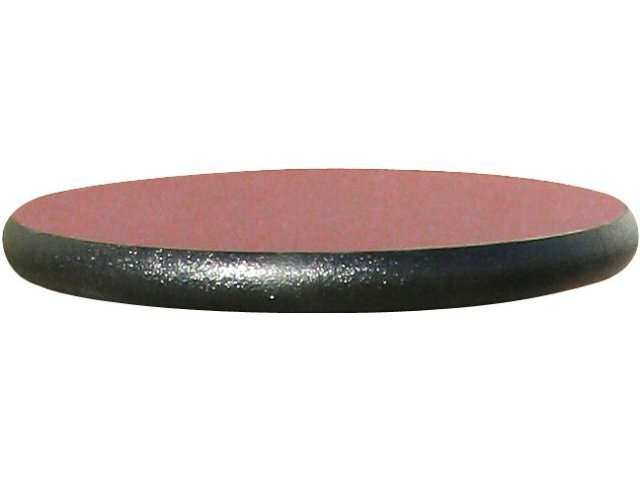 diameter seats come in a variety of attractive colors. Four legs are capped with self-leveling non-marring glides designed to prevent floor scuffs. Solid-steel foot ring welded to frame makes for comfortable foot rest. Designed for Extended Use: Fully-welded, 16-gauge steel frame. Custom Fit: Height adjusts in 1" increments from 18 and 28 inches to fit your specific needs. Extra Durable Seat: Durable laminate and Lotz® Armor Edge resists nicks and dents, and is easily to clean. Comfortable Foot Rest: Solid-steel circular foot ring welded to frame. Protects Floors: Stools have non-marring swivel glides.